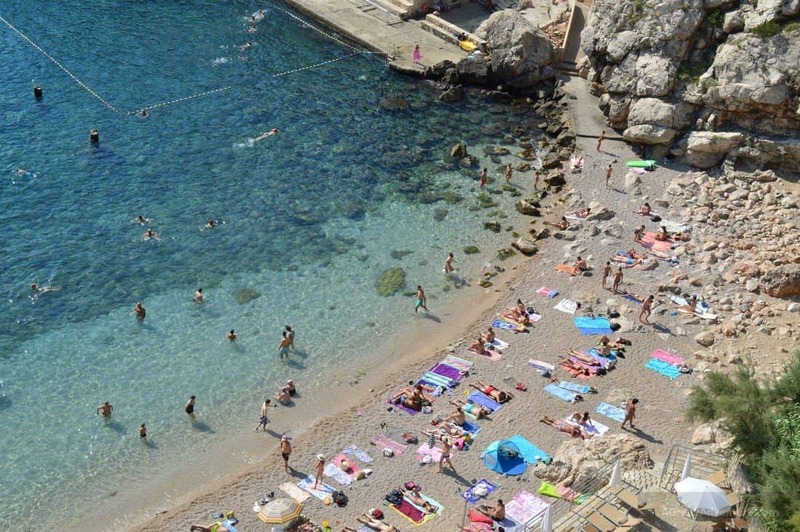 A low airfare price for Dubrovnik holidays flashed in front of our eyes on a Monday. 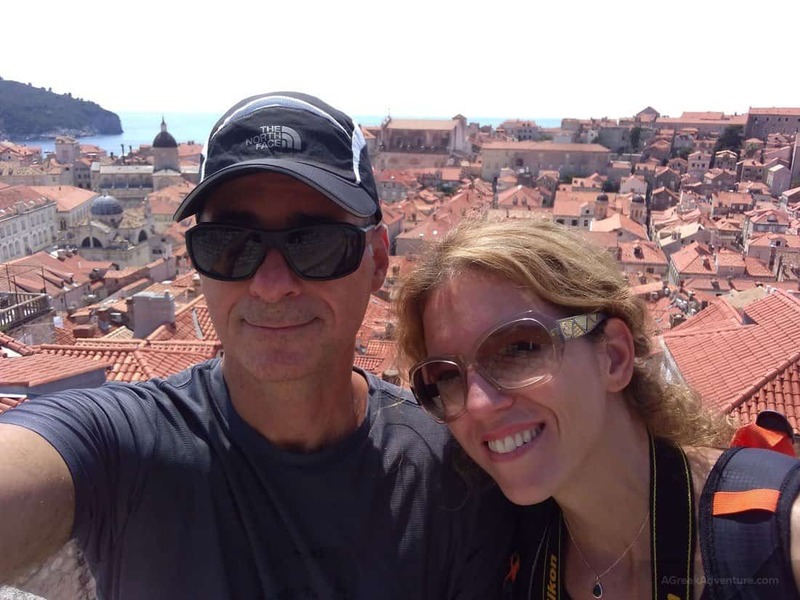 We thought “hey, what things are to do in Dubrovnik, Croatia? We planned to go there at some point… Seems like this low price is a chance to do that…”. A couple of hours later, we booked tickets, hotels and started making our plan on the things to do in Dubrovnik for 3 days. We had only that much of time since we would then move to Ios island in Greece (stand by for this one). What to pack for Croatia? 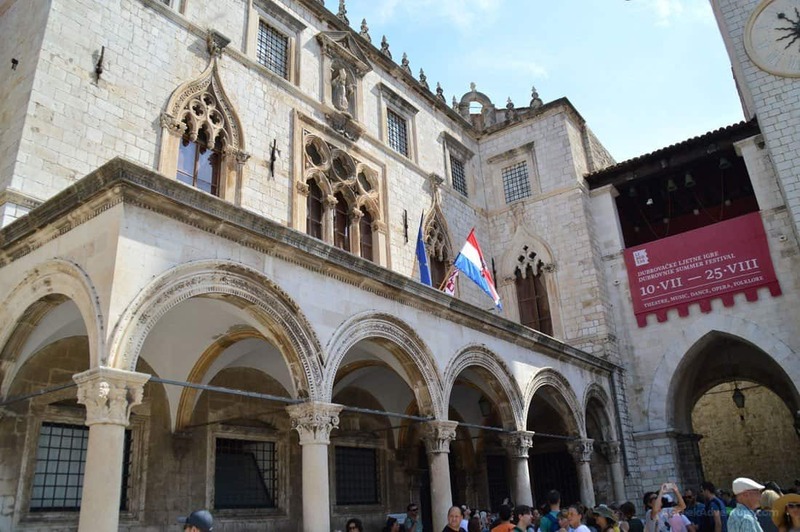 What to do in your Dubrovnik Holidays? 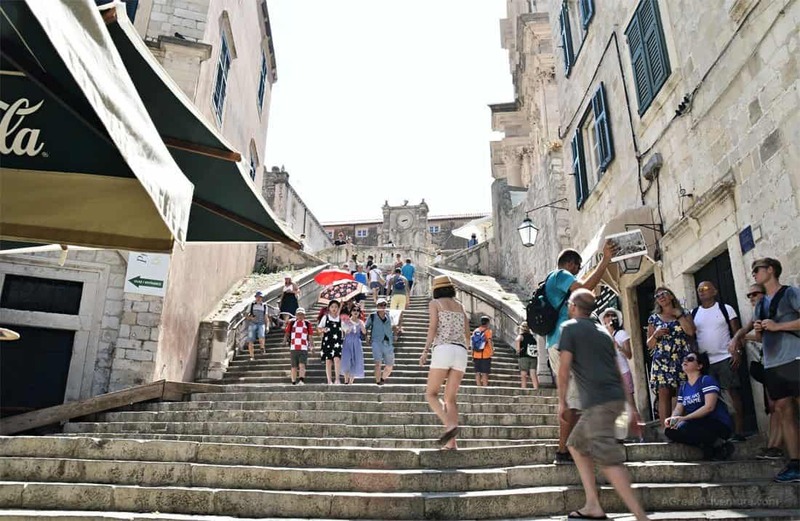 Why to buy a Dubrovnik Card? 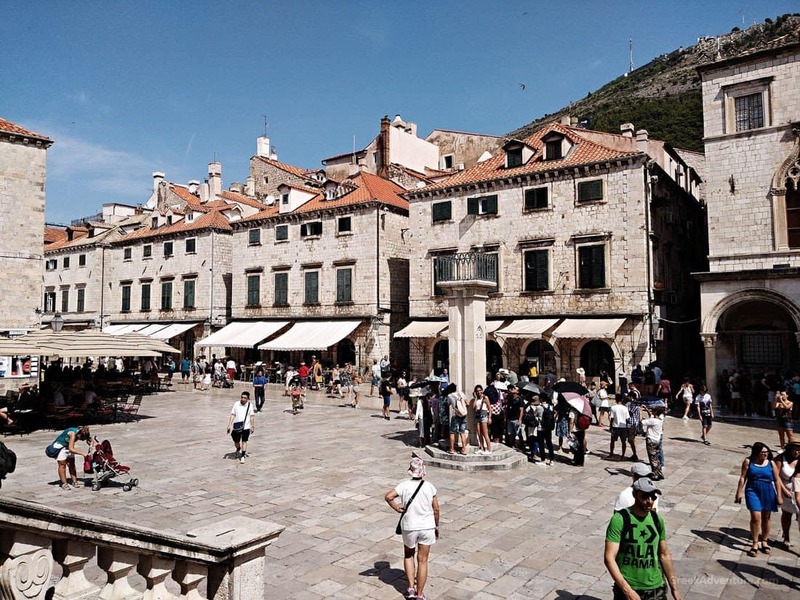 What & Where to Eat in Dubrovnik? 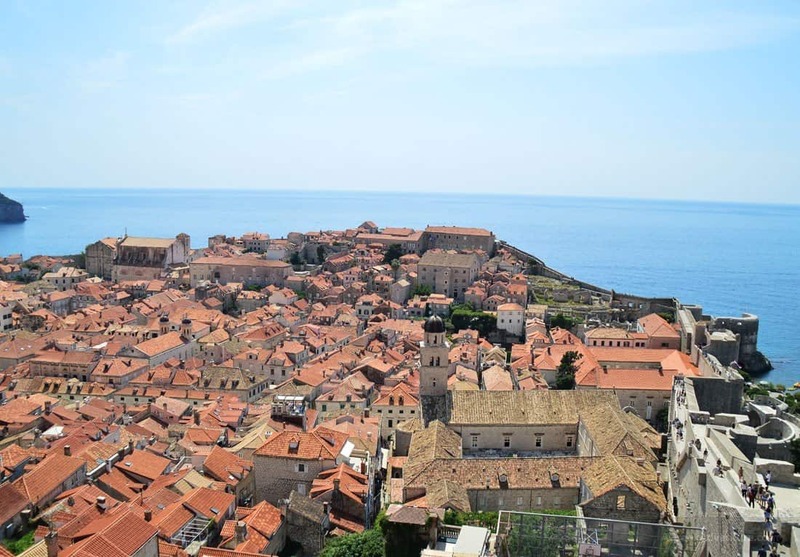 Dubrovnik Accommodation: Where to Stay? 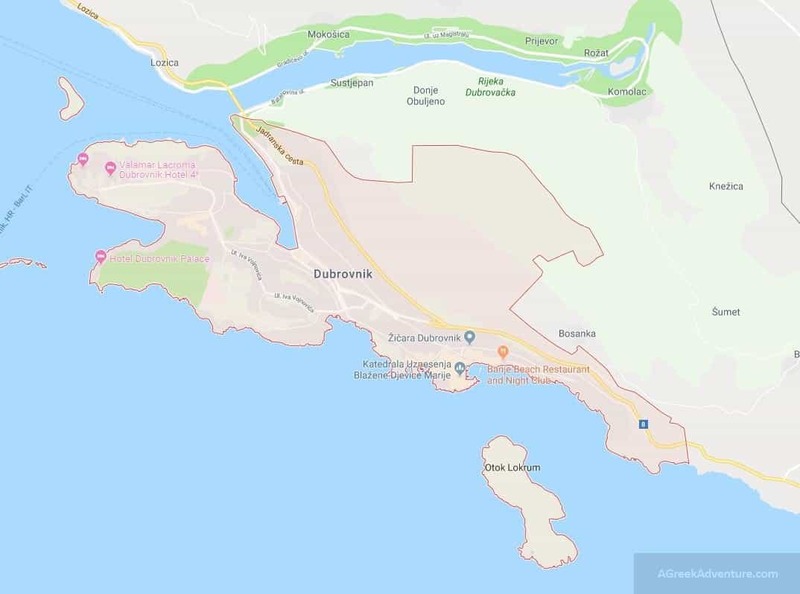 How to get to Dubrovnik, Croatia? This one was a rather last-minute trip. It was not even planned, but an impulse. From the moment it was conceived to the point we were entering the airport we had only a few days to organize all. The idea was stuck in our heads when we did a small research on the things to do in Croatia (read this post). Luckily, the things to do in Dubrovnik are very specific so we knew we had just to find nice accommodation for a 3 days trip. There we talked with locals and found out for more trips you can do with either Dubrovnik or Zagreb as a base. That was a surprise… Croatia is part of the European Union but they don’t use Euro so much. The official currency -still- is: Kuna. One euro equals to -nearly- 7.5 Kuna. This may seem like a good bargain but prices in Dubrovnik follow the “euro” pricing logic. Items you purchase are expensive. A water bottle (250ml) is around 1.3 euro. Food is really expensive, especially inside the Old City (Grad). 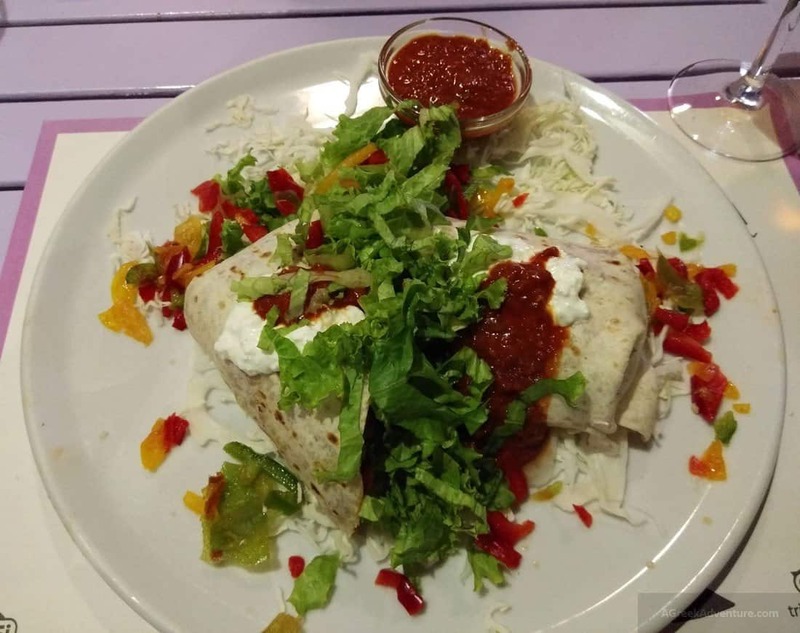 Two persons, each ordering 1 plate of food and 2 drinks in total can be from 349 Kuna (47 euro) to double. Depends where you want to eat. There are cheap eateries but that means kind of street food (sandwiches and pizza slices). Museums & landmarks entrance fees start from 80 Kuna and rise to around 180 Kuna. Nearly every museum or landmark needs a fee to enter, even City Walls (yes, that’s right). If you want to walk the city walls perimeter then you pay for that. There are just a few water fountains inside the Old city, with potable water. The biggest one is at the Main Gate entrance. Bus tickets are at 15 kuna p.p. (apprx. 2 euros). Bus from airport to city center (where the main gate is) is 40 kuna p.p. (apprx. 5 euros). By the way if you like Ice Coffee then be prepared for a coffee with a ball of ice cream and whipped cream on top! All other coffee variations served here are hot. Pack light summer clothes and maybe sandals or shoes that breath well. Definitely a hat and sunglasses along with sun-cream. If you plan to visit the beaches (and you should) then bring proper attire. In many beaches you will need water shoes, as they are rocky (in and out). The whole city of Dubrovnik (old and new) is nice to walk through. This part of the world is like concentrated beauty. All the coast line has to show spectacular green that ends down to the beach and waters with bright blue and deep green colors. It is like a two-fold postcard. The coasts and cities look really beautiful when you are watching from the shore, but even great when you watch from the sea. The history that comes with all the cities of this area is really interesting. Castles and fortresses are so nice and dominant. We totally understand why they were chosen for filming large parts of Games of Thrones here. Small islands groups that are close to mainland, add to the whole thing and the sum is a treat for the eyes and all senses! If you have up to 3 days then your itinerary can be quite specific. Especially if you plan to have some leisure time too and not constantly walking up and down and around the city and nearby villages. As said, you need to allocate swimming and relaxing time. Dubrovnik and surrounding areas are ideal for that. Combine leisure with culture. If you plan to stay for 7 to 10 days then you can do even more things by traveling in Croatia, while staying in different cities. You can even book organized tours and have Dubrovnik as your “home” base. There are plenty of such that last from 12 to 14 hours and you reach up to Kotor or Budva. You can also sail to other cities of the Dalmatian Coast. Actually, sailing seems quite a beautiful way to experience the Dalmatian Coast and we kept this in mind for future trips. Here is our itinerary for our 3 days trip with things to do in Dubrovnik. Expect lots of culture, as this place is part of the European history, so it has some really important things to “narrate”. 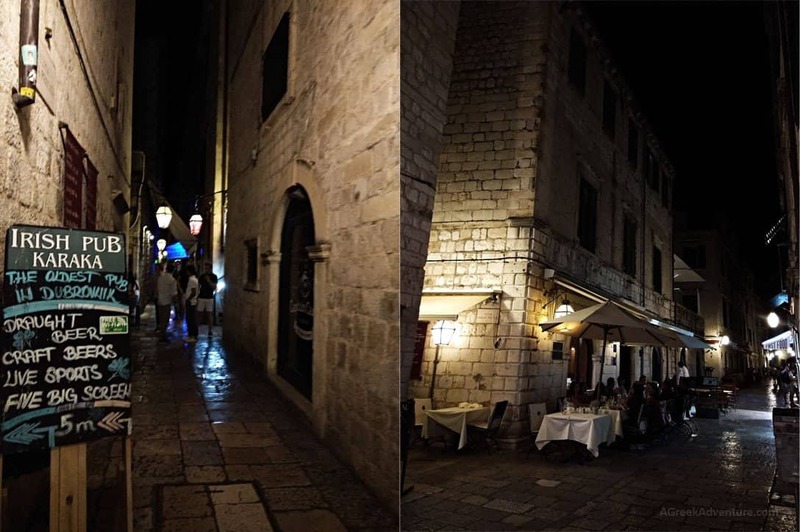 Dubrovnik is a tourists friendly city and is spectacularly clean, day and night. You may don’t know this but even free camping is allowed in Croatia (with penalties if you don’t leave the place exactly as you found it, i.e. clean). 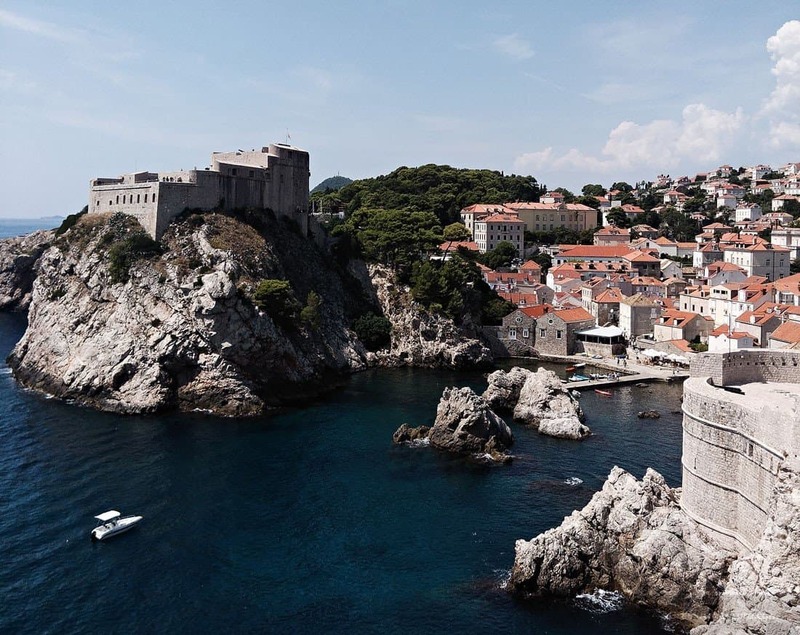 Make sure you visit all the locations mentioned here, using a prepaid Dubrovnik Card. Read below why to do that. You do need that card, unless you want to pay everything in their regular price. 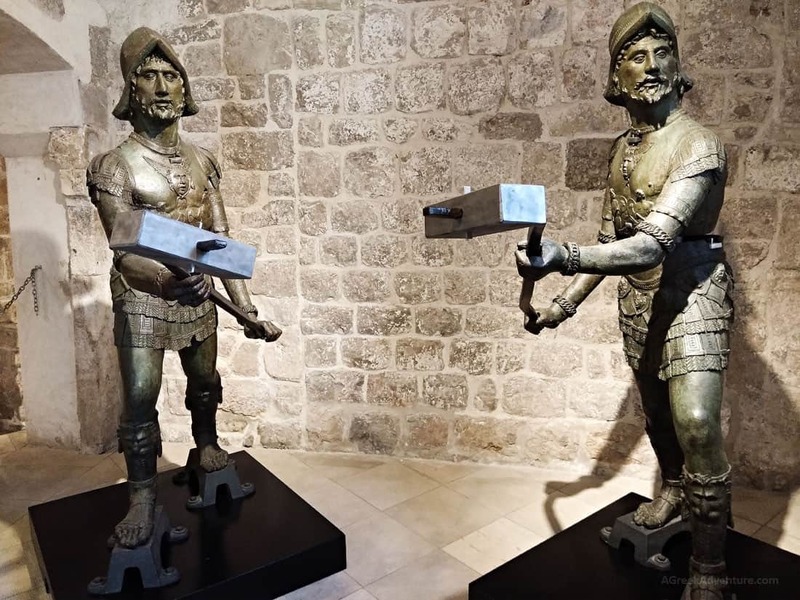 The Dubrovnik Card will cuts your museum and landmarks entrance fees by 50%!!! Dubrovnik Card: Comes with a detailed city guide too. You can get it online, or in your hotel or in the many Tourist Offices that are scattered around the city. 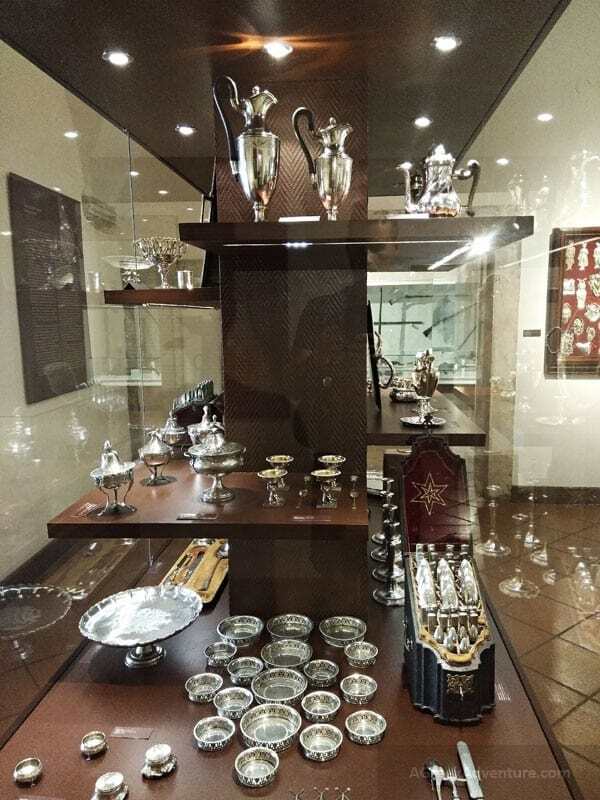 Each provides you with different priviledges on top of the museum entrance fees. If you want to go easy on a 3 day trip then buy the 3 days card. You can actually see all museums in one day, except if it is Sunday as in that day some are closed. With the One Day Card you get a 24-hours free Bus pass while with the others you get even more. The cost from One to Three Days card is very small. On top of all other benefits you also get discounts (5 to 15%) in restaurants, bars and many other places. See all the details from here (note: in Hotels the card costs around 20 kuna more than purchasing it online). This fountain comes with a nice story behind it. Many fill up their water bottles here and also acts as a meeting point. 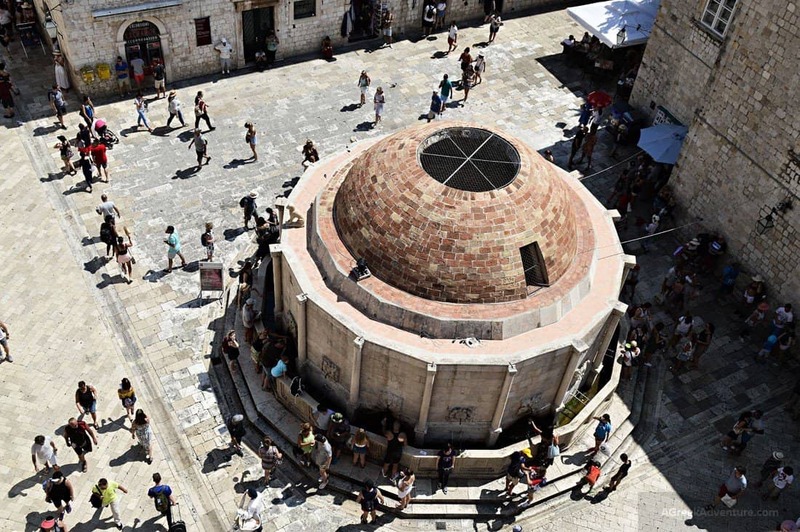 That fountain was developed to solve the water problem of Dubrovnik along with the aqueduct system. The architects that were contracted with the aqueduct project had to develop it under the term that they would be penalized for any water drop lost if the system didn’t work as needed. The picture above is from the big one and has 16 sides. After filling up your water bottles you get deeper in the old city through the Strada. That is the main street of the Old City of Dubrovnik. You will see thousands walking up and down here, both in day and night. 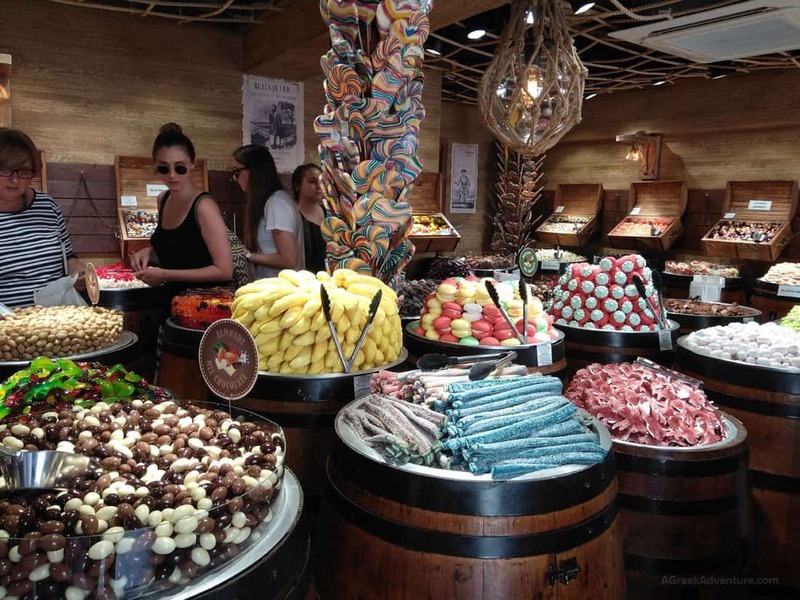 There are all kinds of stores, restaurants, sweet shops. Strada ends up to Church of St Blaise square where many sit to admire the surrounding architecture before moving on to the museums and the narrow alleys, or to the small harbors at the opposite side. Here is a video from the square at the far end of Strada. Visiting the museums in each city/country we go is a must for us. 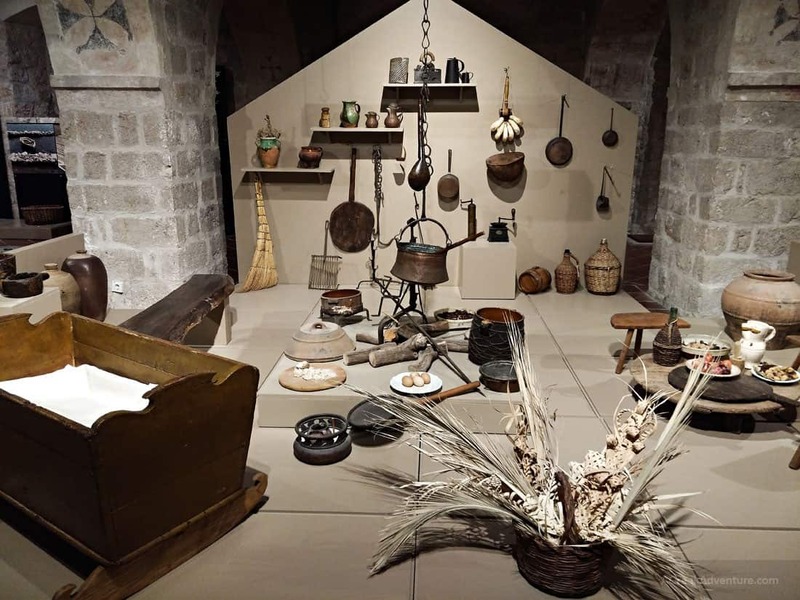 Museums are a concentrated way to explore the history of a country through the ages. 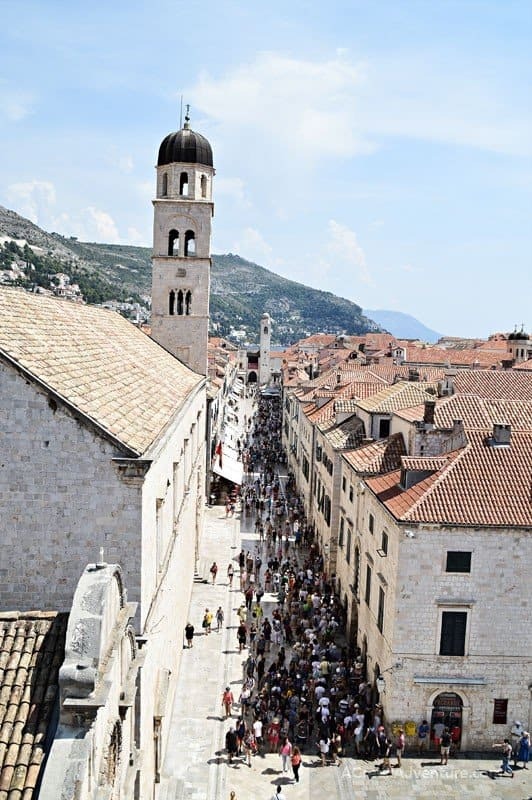 We used our Dubrovnik card to visit as many as possible. Important note: Make sure to double check via email or a call on which museum is open per specific day. For example the Natural History museum is not open on Sundays. 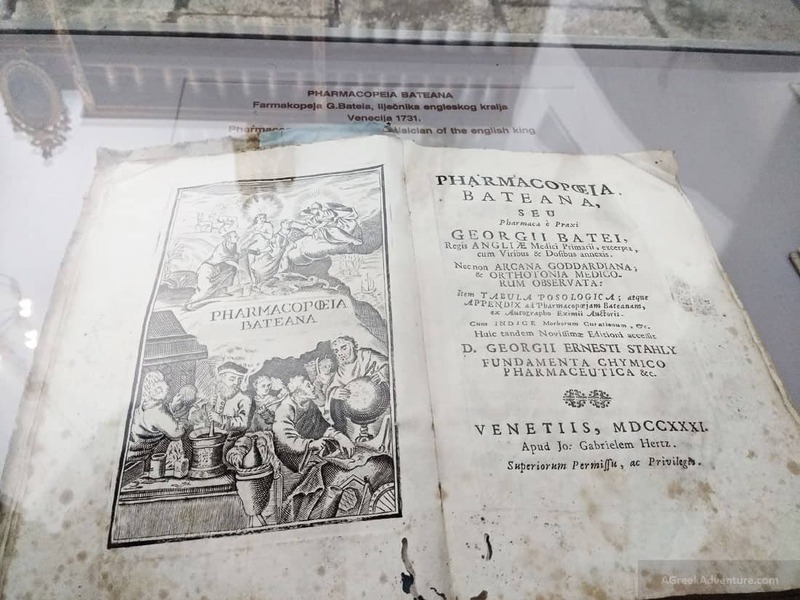 Get into this place and see an exhibition of all pharmaceutical tools, containers & grinders used to prepare medicines in the old days, along with recipes books. 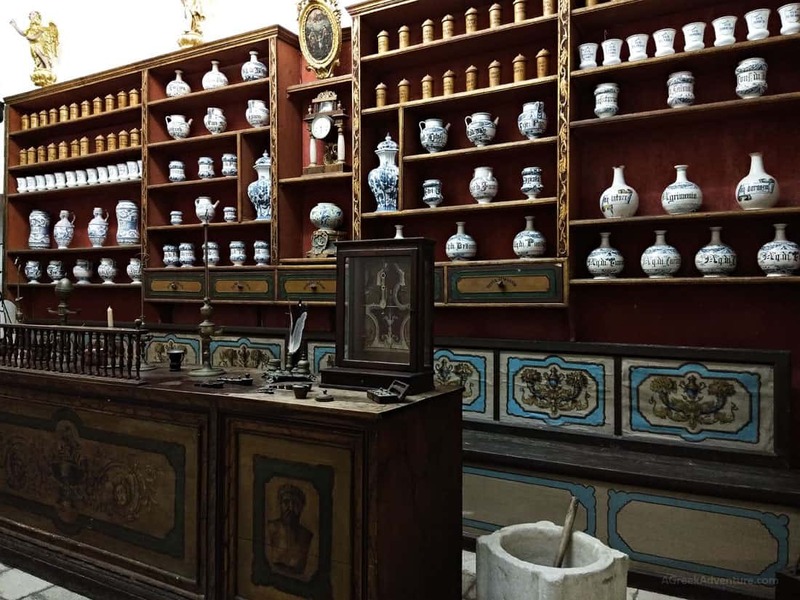 This places dates from 1317 and is the third oldest, still functioning pharmacy in the world. This museum is 2 museums in one. You can explore the the artistic and historical heritage of this place and related to the Republic of Ragusa. The building exterior and interior is magnificent. Time you will spend: 1.30 to 2 hours. 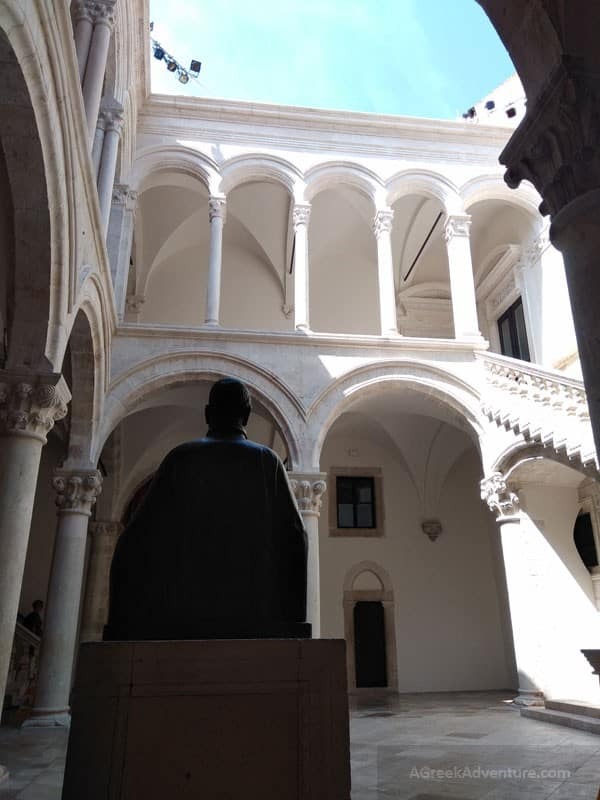 It represents a strong historical point as it used to be the seat of the Rector of the Republic of Ragusa. It also housed an armory, a powder magazine, the watch house and a prison. 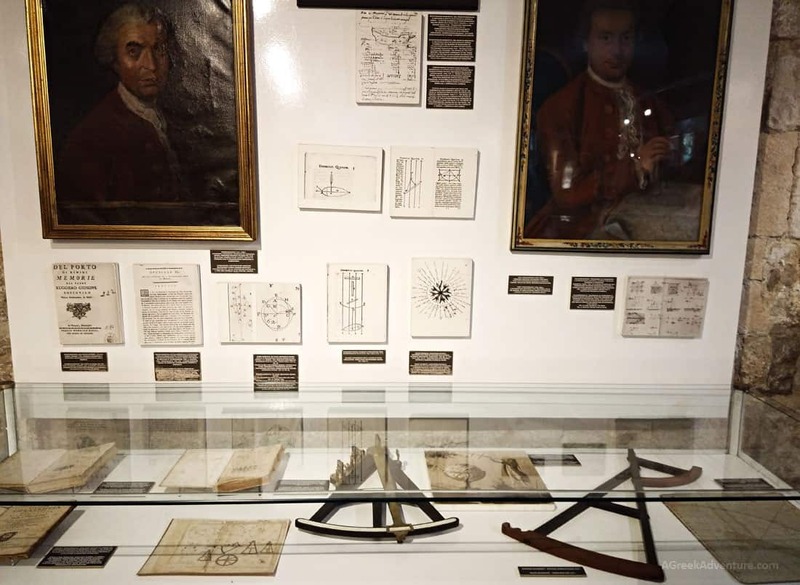 The naval history of Dubrovnik is here along with lots of exhibitions regarding ship parts, early navigation systems and manifests. Time you will spend: 45 minutes to 1 hour. This museum will take you back to the 16th century. They used to store grains in this building’s underground, thus the word Rupe (means: Holes). You will see traditional attire and themed settings based on local customs (i.e. Easter). 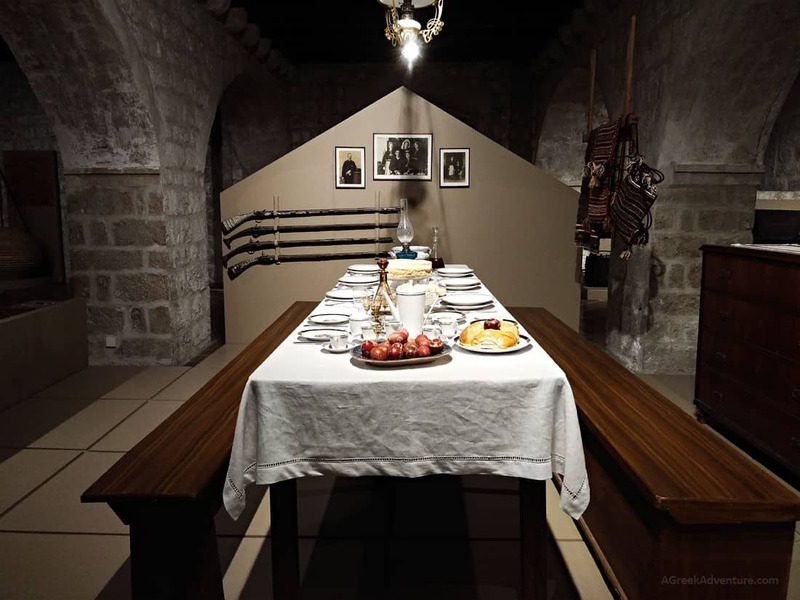 There is a sitting area where a film is presented explaining customs and their relation to the history of Dubrovnik. Time you will spend: 1 to 1.30 hours. This house hosts some basic things about Marin Drzic but the sign inside says that this house may not be his actual house. Marin Drzic was a popular entertainer, maitre de plaisir. Allegedly he wrote a series of comedies, yet he was also accused for plagiarism. To be honest we didn’t find a reason to visit this place but since it was included in the Dubrovnik Card we visited as well. There are not many exhibits to see. Mostly posters; some really scary abstract ones. Time you will spend: 30 minutes. This is your opportunity to see the whole of the by walking all around of it. The walk can easily take up to 2 hours, depending on your rhythm and stamina. There are 2 small shops with refreshments along the walk wall, plus a couple of small restaurants. You will be on the actual fortification walls of the old city, so you will see everything to all directions. In that way you can combine the walk and sightseeing with a small lunch break. One of the must things to do in your Dubrovnik holidays, despite being a bit expensive. You can take the cable car (around 150 kruna round trip ticket per person) and get to the top of Mount Srd. Yes, the view is really breathtaking and you can stay there as long as you like. You have 2 ways to get to the cable car tickets office and boarding area. From Pile or Ploče gates. A 12 minutes walk behind the city walls from pedestrian sidewalks. From Strada (Stradun), towards Buža gate. Takes around 10 minutes. Walk up the stairs and after 1 minute you will get to the tickets office. It is closer but steps are steep and a lot. There is a restaurant at the top of Mount Srd, and you can enjoy the sunset with your dinner if you plan to be there at that time (locals recommend it). There are some tours offered at the top, but by searching around we didn’t find any good reason to attend to such. 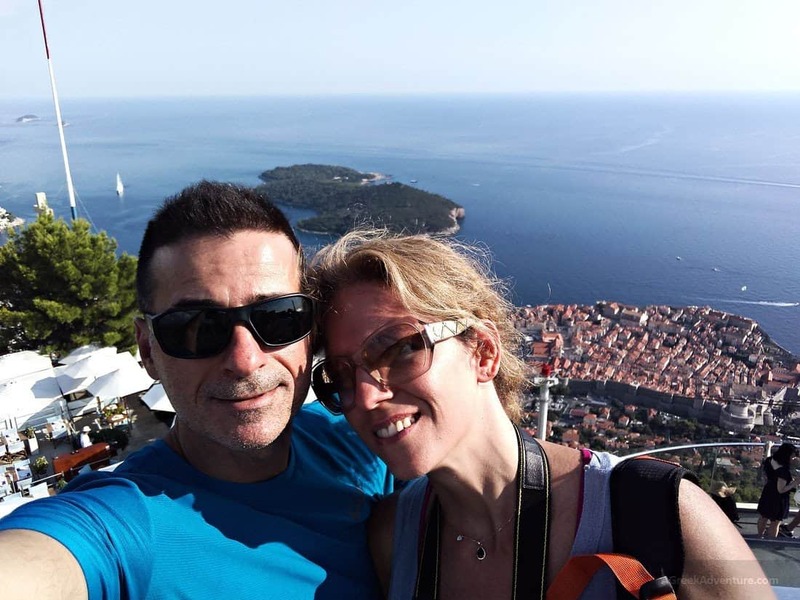 See this panoramic video of Dubrovnik from mountain top. As said (and seen) Dubrovnic is next to the sea. This means lots of beaches. Beaches here are mostly rocky, with some having pebbles. This doesn’t diminish their beauty though. This photo is from the Bellevue beach and the view was from our room. People will “make a beach and a swim” out of nothing. This is a beach as seen from atop from the City Walls. 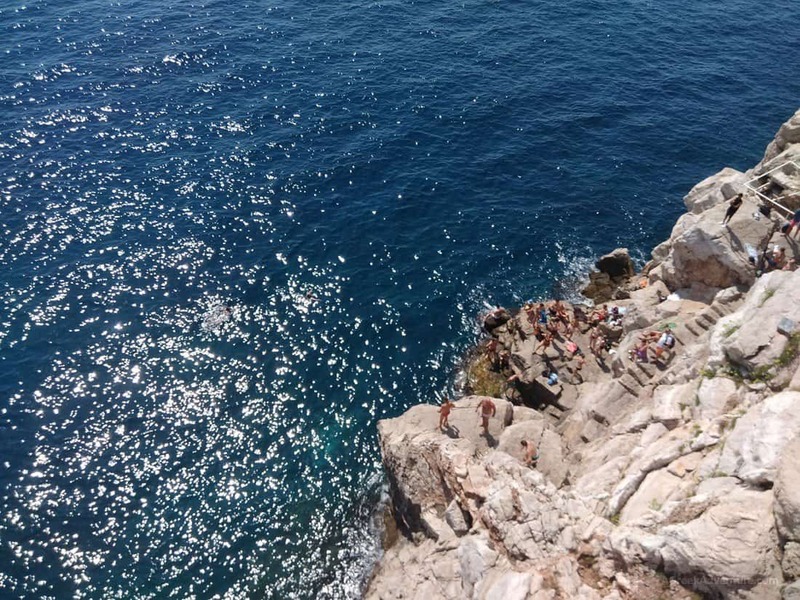 Lots of people in Dubrovnik engage in diving from high rocks, water-polo and sea kayak. This castle is often called “Dubrovnik’s Gibraltar”. It is outside the walls of Dubrovnik (seen in left side of the photo). This fort has almost zero things to see (exhibits and such), but it is a nice spot for photos to the old city and a cool place for resting. Many guided tours include it in their itinerary and the small bay between the city walls and the fort server as a popular sea kayak station. 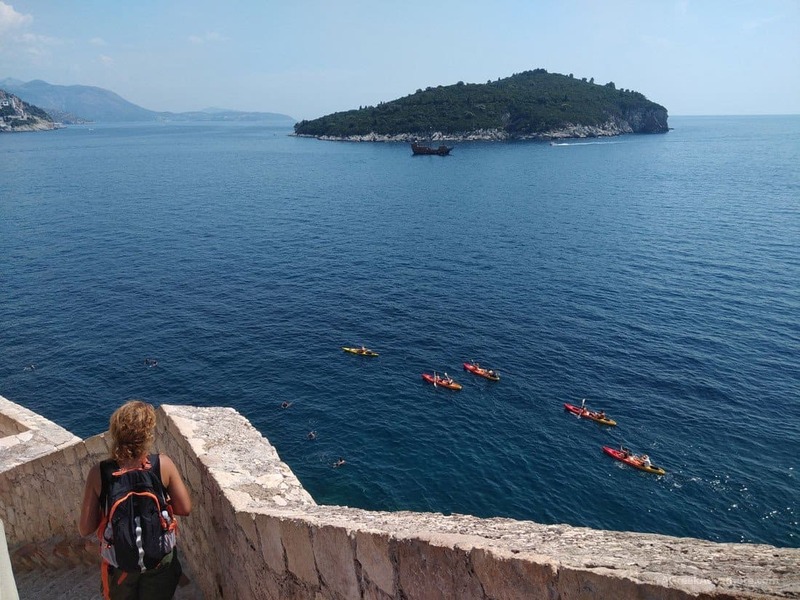 Sea kayaking could be one of the most popular activities in the area and logically along the whole coastline of Croatia. We saw many sea kayaks doing tours to the islands or along the coast. They start from many different locations, even from the nearby Cavtat. We love sea kayaking too and have attended many tours. Very beautiful spot of the old city. The stairs designed in Baroque style (by Pietro Passalacqua), are similar to the famous Spanish Steps in Rome. At the top you will find the Uz Jezuite Street, along with the Jesuit Church of St. Ignatius of Loyola. 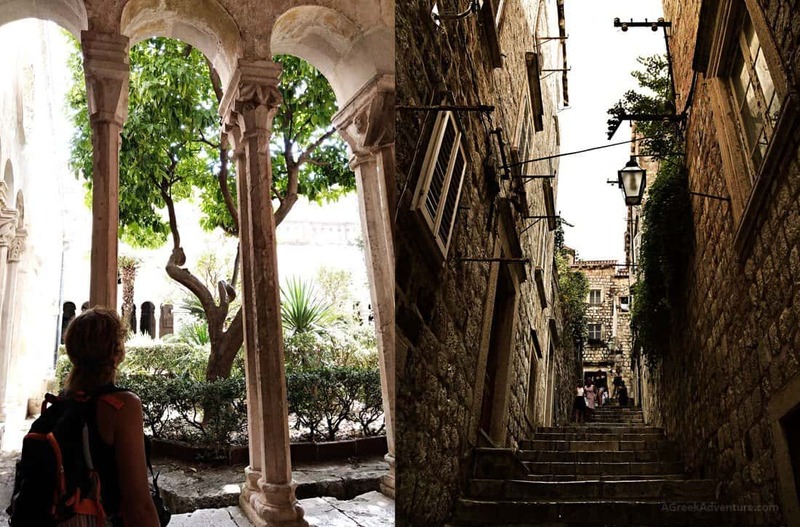 Allocate a few hours to just walk through the narrow alleys and streets of Dubrovnik. Despite the fantastic architecture you will also meet many small wine bars and restaurants that serve great delicacies. There are all kinds of food in Dubrovnik. Since the city resides by the sea, expect all local delicacies to be around fish and anything sea provides. We ate at different places. 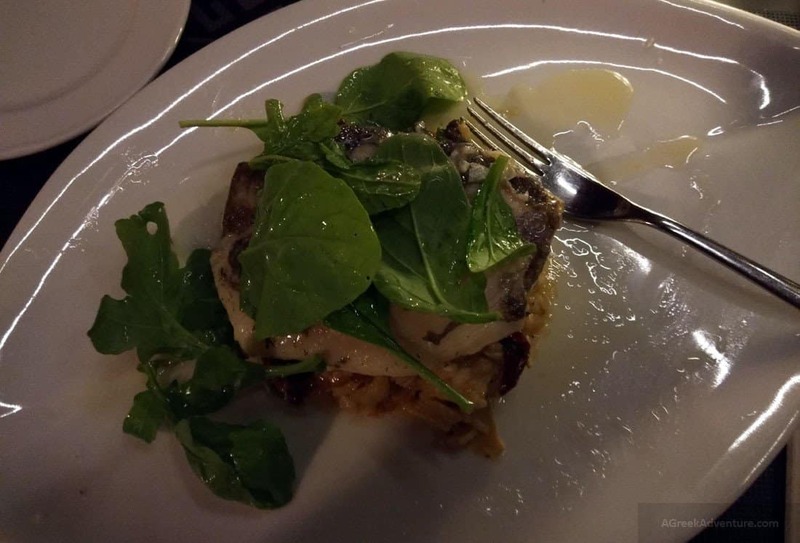 For an median price restaurant we recommend Tavulin Wine & Art Bar. Food is really nice. However, you can find splendid Japanese and Mexican cuisine too. We spotted a Mexican food restaurant and got ourselves some Burrito con Pollo and Quesadilla con Carne, along with a local beer and margarita. The restaurant was called: Mex Cantina Bona Fide. There are plenty of options of course. 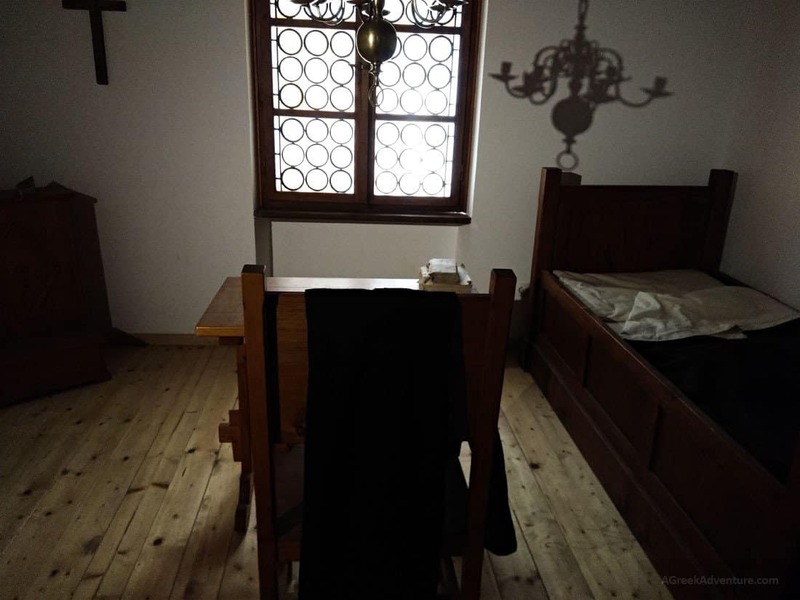 You can’t say that there are not affordable accommodation options in Dubrovnik, and services are definitely of top level. Since we had just a few days we decided to go to to 5 star hotel. It was the Bellevue Hotel, just 10 minutes walking time from the Old city and had its own beach! Hotel even had an internal pool and gym and huge rooms with lots of amenities. Even guests from nearby hotels came to swim in that beach. For hotel residents there were sun lounges and all comforts. For a thorough list of prices and accommodation prices, click here. There are 2500 accommodation options in Dubrovnik, and keep in mind that local transportation is frequent and good. You don’t need a car inside Dubrovnik. Just make sure to get tickets prior boarding the bus or have exact change. When you buy tickets in the bus they cost 3 kruna more than getting them outside the bus. This can be a half or full day activity. 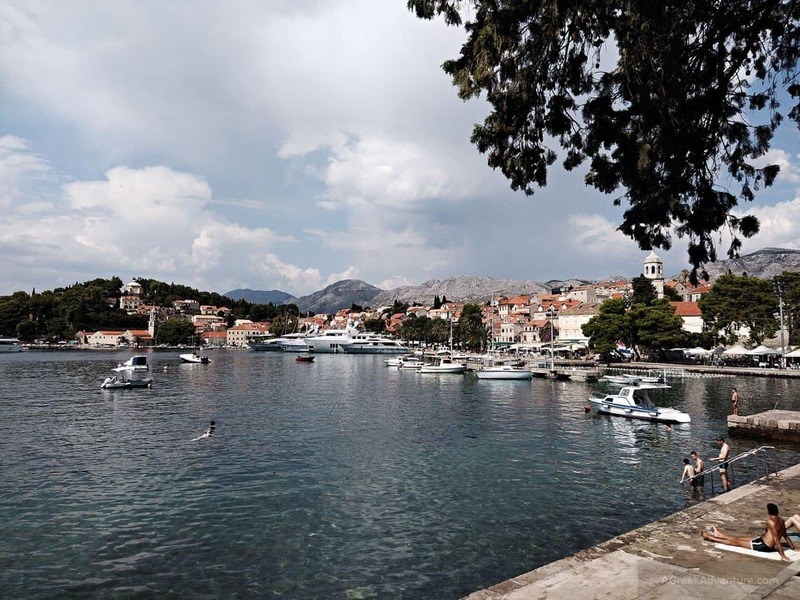 We will expand on Cavtat in our next post. You can get there by taking the local bus (number 10). Cavtat has numerous beaches and great promenade routes. Weather in Dubrovnik follows that of the Mediterranean area. Hot summer and mild springs and autumn. If you want to avoid crowds then go in Spring time. On the other hand we went in mid August and we didn’t feel “crowded”. Many people go into the old city bars and restaurants at night and you see lots of people during that, but you don’t really feel like you can’t walk or such. Dubrovnik belongs to Croatia and is a city by the sea, popular for summer vacations both from tourists and locals. Since it is not and island, it can be reached even by car from any European country. 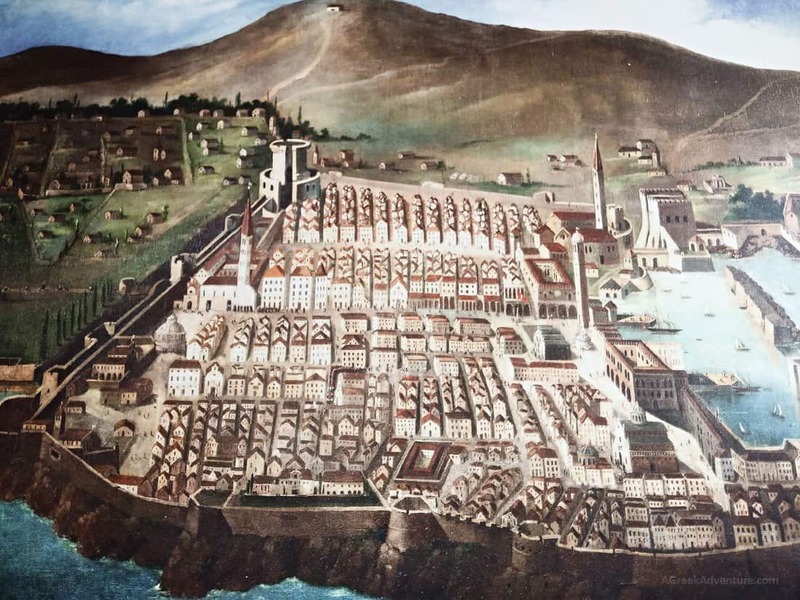 Here is a painting showing the Old city of Dubrovnik. It is surrounded by walls. All buildings and fortification is in good standing and have been renovated or maintained really well. 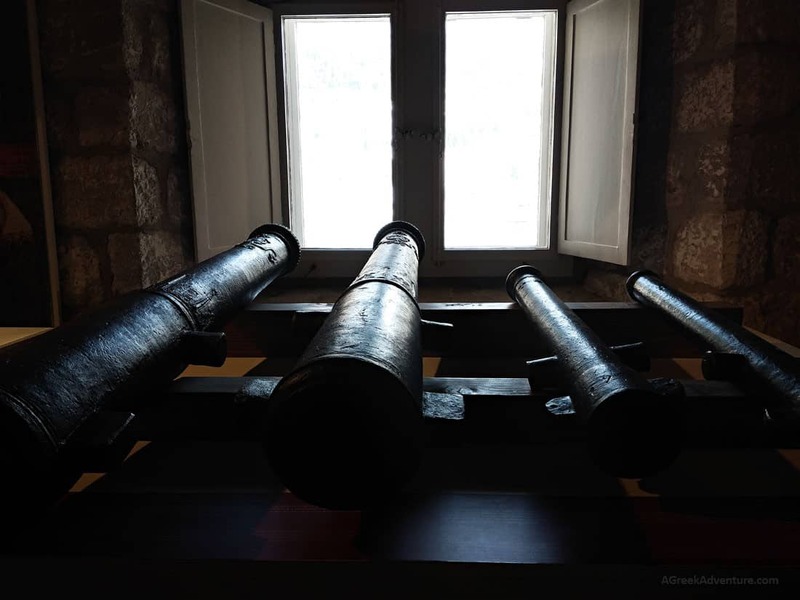 During the recent war Dubrovnik was bombarded but it was renovated in a really good way. Walking around the walls of the old city will give an exact view of the city from all possible angles. As in many Mediterranean cities, nightlife is one of the key elements to have fun. There are a few bars in the old city, but there are many nice restaurants with excellent wine and travelers seem to prefer these better. You can have a look for all available tours from here. You can fly to Dubrovnik from many European countries. These are: Austria, Belgium, Czech republic, Denmark, Finland, France, Germany, Greece, Italy, Latvia, Netherlands, Norway, Serbia, Spain, Sweden, Switzerland, plus Israel and Turkey. You can get the bus from Italy (Trieste) that is run by Autotrans or from Bosina & Hercegovina and Montenegro. Check the website of Dubrovnik Bus Station for more details. There are ferries departing from Bari port, Italy. The ferry line is in operation between March and October. It is the overnight journey that takes about 12 hrs. 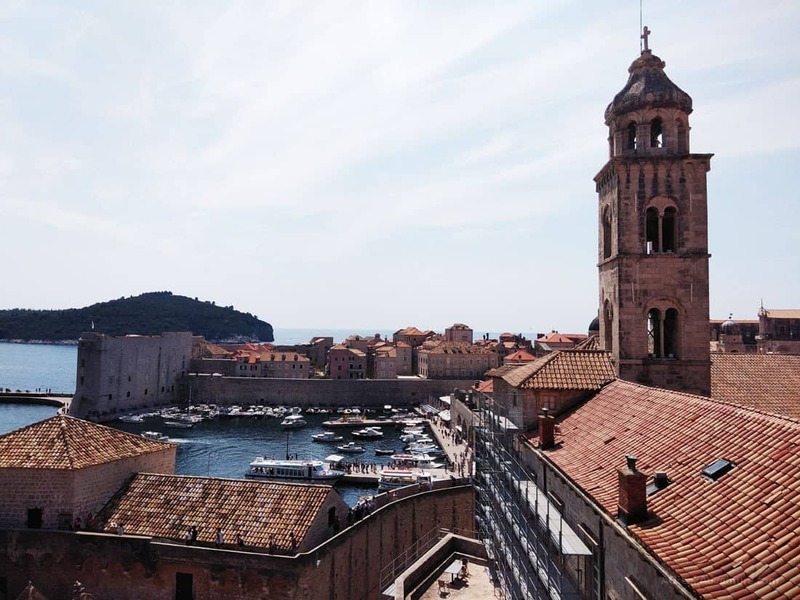 Lots of things to do in Dubrovnik, right? We promise you that you will be amazed from this city, if not from the Croatia allover. The nature and sightseeing’s you will encounter, along with great food and wine and top services, will make you to want to come back and explore more of the neighboring countries. 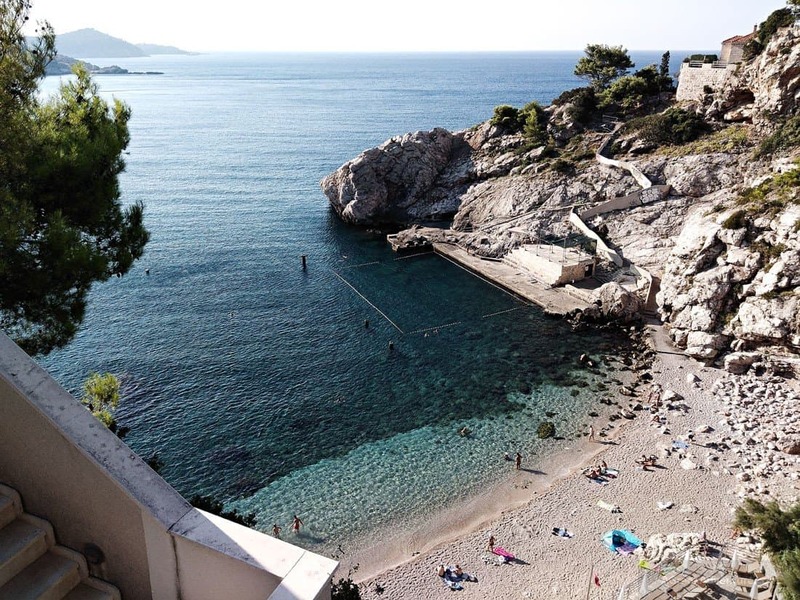 Have fun and let us know how Dubrovnic and Croatia was for you. Here is a sum up video from this experience!